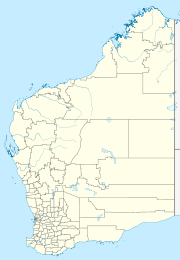 Tjuntjuntjara is a large Aboriginal community, located 650 km north east of Kalgoorlie in the Goldfields-Esperance Region of Western Australia, within the Shire of Menzies in the southern part of the Great Victoria Desert. The community was established in 1988 after a water bore was drilled at the location. The Tjuntjuntjara community members are part of a larger group known as ‘the Spinifex People’, who were removed from their homelands (which range across the WA and SA border lands) prior to the British atomic testing at Maralinga in the 1950s and 1960s. The community is located within the fully Determined Spinifex People (WAD6043/98) Native Title claim area. The community is managed through its incorporated body, Paupiyala Tjarutja Aboriginal Corporation, incorporated under the Aboriginal Councils and Associations Act 1976 on 19 April 1989. Tjuntjuntjara Layout Plan No.1 has been prepared in accordance with State Planning Policy 3.2 Aboriginal Settlements. Layout Plan No.1 was endorsed by the community on 3 December 2003 and the WAPC on 4 May 2004. The Layout Plan map-set and background report can be viewed at Planning Western Australia official site. ^ "Tjuntjuntjara Tjukupa". Tjuntjuntjara Community Resource Centre. Retrieved 25 February 2013. This page was last edited on 20 February 2019, at 14:50 (UTC).